Did you forget to renew your items? No need to worry. 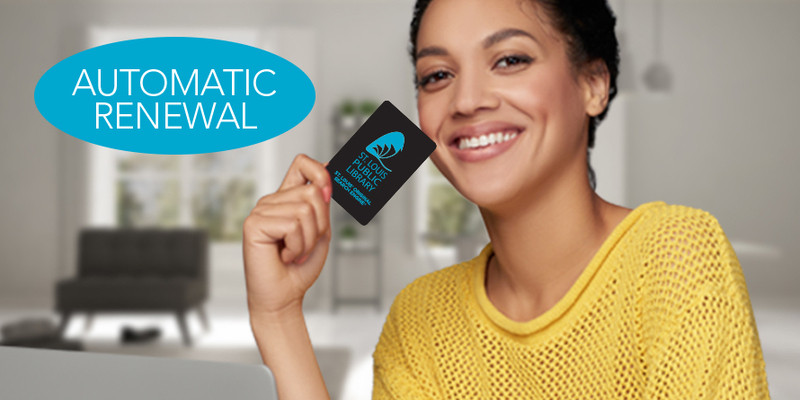 St. Louis Public Library now has automatic renewal service for all cardholders. Materials will be automatically renewed 24 hours before the due date, up to three times in a row. Renewals will only be made on items that do not have a hold or have not reached their renewal limit. Patrons will receive an email renewal notice that lists the titles renewed and their new due date, it will also include all titles that did not renew with their due date. Email notices will only be sent to patrons who have a current email on file. Call 314-539-0373 with questions about automatic renewal.